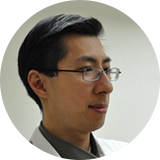 Dr. Al Chan obtained his Veterinary Medicine degree from UC Davis in 2002. After practicing in the Los Angeles area for 3 years, he and his wife decided to move up to the Monterey Peninsula , where he has been establishing a steady clientele in Salinas ever since. He loves adding a personal touch to his practice style in treating his patients and communicating with his clients. He is particularly interested in surgery, internal medicine, and incorporating technology into veterinary medicine. Outside of the hospital Dr Chan enjoys spending time with his family, which includes his wife and 2 children. In his spare time, his hobbies include rock climbing, photography and videography, reading, and gaming when time allows. 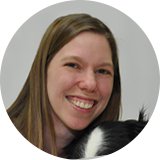 Following graduation from the UC Davis School of Veterinary Medicine, Dr. Sage focused on small animal care, practicing first in Southern California and later in the Monterey Bay Area. From 2007-2010, Dr. Sage combined her commitment to higher education with her love of animals as a member of the teaching staff of the Registered Veterinary Technician program at Hartnell Community College. An avid reader, Dr. Sage also enjoys digital scrapbooking in her free time. Her family includes her husband, 2 children, one dog (“Gambit”) and two cats (“Nikos”, and “Aspen”).